A flexible mortar that gives good adhesion to lead and most roofing substrates. Specifically formulated to point lead into brickwork. Can also be used to seal most common roofing materials. 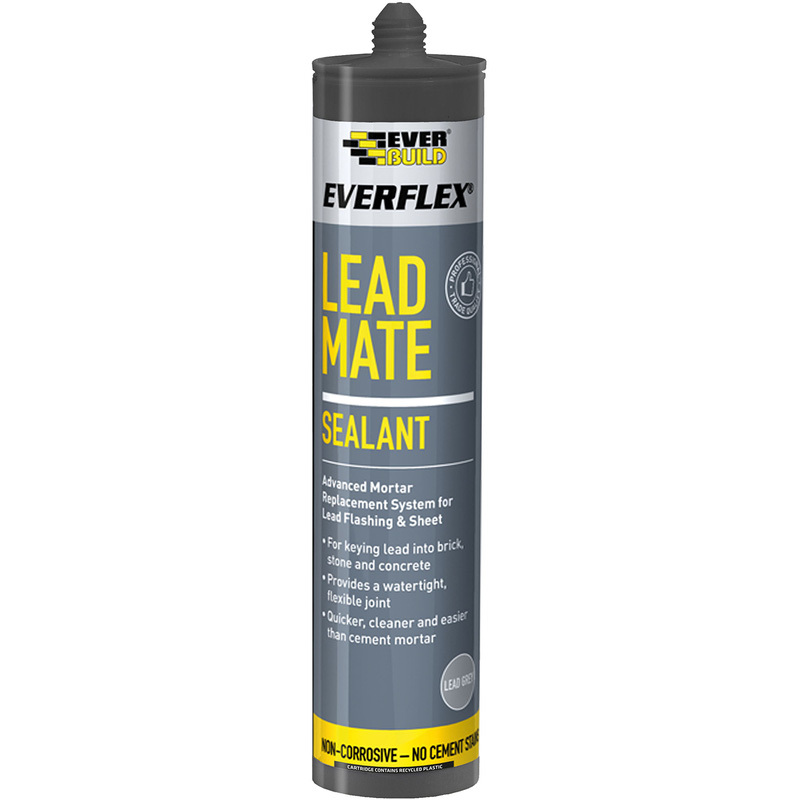 Lead Sheet Sealant 300ml Grey is rated 4.7 out of 5 by 6. Rated 5 out of 5 by RP1985 from lead sealant Outstanding product. Have used before and does a great job sealing leaking gutters. Rated 5 out of 5 by Flexign from Easy to use Have used this to repoint lead flashings where the mortar had failed. Easy to apply and it tools well. Being flexible it will allow movement between the soft lead and hard masonry whilst maintaining good adhesion. Rated 4 out of 5 by Madmitch10 from Good stuff I had a small porch to cover with lead sheet, this stuff was ideal to seal the edges, joints and flashing. No heat required!